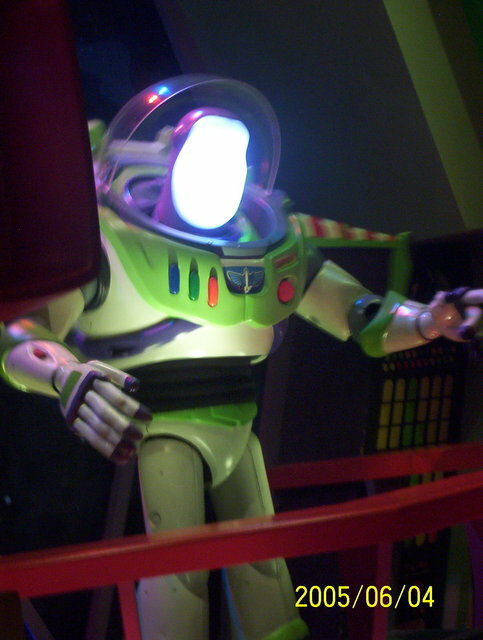 Waiting in line for the Buzz Lightyear ride, there was this really cool animatronic Buzz Lightyear, seen here. Unfortunately the most impressive part was his face, which must have been done with some clever mirrors or something. But you can't see it here. Oh well.